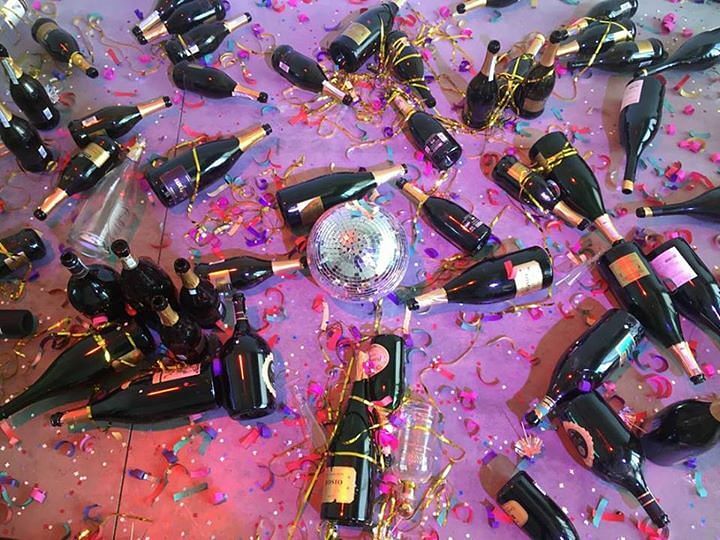 ROME (REUTERS) - An art installation of empty champagne bottles and spent party poppers reopened in Italy on Tuesday (Oct 27), three days after cleaning staff mistook it for rubbish and binned it. "Where shall we go dancing tonight?" was intended to invoke the consumerism, financial speculation, mass media and parties of the 1980s, but fell foul of unwary cleaners at the weekend. After realising the mistake, staff at the Museion Bozen-Bolzano in the northern Alto Adige region hastily salvaged the materials from rubbish sacks and recreated the art work. Museum director Letizia Ragaglia suggested the incident had served to get people talking about modern art. "It has sparked a great debate... It all goes to show how contemporary art is capable of arousing great interest, or even annoying people. We believe it is essential to keep this dialogue open," she said in a statement. The creators of the installation, Sara Goldschmied and Eleonora Chiari, were not amused. "What happened was bad. It cannot be possible for an installation to end up in the rubbish bin," the pair were quoted as saying by Alto Adige newspaper. The show will be open to the public until Nov 22.